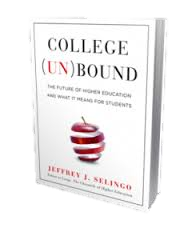 College (Un)Bound by Jeffrey J. Selingo - Wally Boston - American Public Education Inc.
As a writer, editor, and now Editor-at-Large for The Chronicle of Higher Education, Jeff Selingo has observed and written about higher education for more than 15 years. 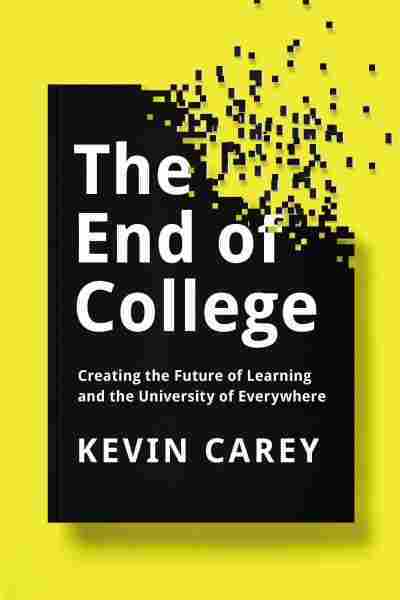 My assessment of his observations noted in his book, College (Un)Bound: The Future of Higher Education and What it Means for Students, is not unlike a statistician analyzing a very large dataset where every independent variable is technically significant. Similar to a statistician looking to hone in on the most significant independent variables in the previous situation, Selingo has directed the primary focus of the book to the coming disruption of traditional colleges and universities. Mr. Selingo wastes little time informing the reader his opinion about the status of higher education today. In the introduction, he states that American higher education has lost its way, particularly in the first decade of the new millennium. Costs are out of control and quality is declining at a time when our families need less expensive colleges that provide quality programs. He asks the question: “Is a degree from Podunk U worth $50,000 a year?” He further writes that elite colleges are making themselves more exclusive as more and more Americans recognize the need for an education beyond high school. Selingo refers to the period from 1999 to 2009 as the “Lost Decade.” According to him, it’s a time when presidents of colleges and universities were consumed by their egos and spent money to keep up with competitors and move up in the U.S. News & World Report rankings. They spent lots of money on scholarships to high achieving students and borrowed millions to build fancy dormitories, lavish recreational facilities, and other, non-learning related amenities. By the end of the decade, private research universities spent approximately $3,400 per full time student on non-academic services such as career counseling, intramural sports, and student organizations. “Colleges now view students as customers and market their degree programs as products” and act more like Fortune 500 companies with increasing salaries for administrators and board members selected for their corporate connections versus their academic acumen. In fact, faculty make up less than half the employees at many four-year campuses. Selling higher education has worked well according to the author. Enrollments have increased by over one third since the late 1990’s and the bachelor’s degree has become the new high school degree. The fastest growing credential in higher education is now a master’s degree with enrollment doubling since the 1980’s while the number of people holding master’s degrees today equals the number of people holding bachelor’s degrees in the 1960’s. The race for rankings has caused the awarding of merit scholarships to increase so fast that the number of students receiving merit aid at many public and private colleges now exceeds the number of students receiving need-based aid. By treating students as customers, institutions give A’s so frequently that they’re now the number one grade accounting for 43% of all grades issued. There are five disruptive forces that will change higher education forever, according to the author. These are: operating deficits, the diminishing role of the state in funding public education, the shrinking number of full-pay students, the quality improvements of unbundled alternatives to higher education, and the growing value gap. Many, if not all of these disruptions have a common link, which is the increasing cost of higher education. When the tuition increases at a rate double that of family incomes, there are fewer full pay students. When the tuition increases at rates higher than taxes paid into the state coffers, the state contribution as a percentage of tuition shrinks. When fewer people can afford college, fewer people attend than before contributing to operating deficits with a fixed income business model. When price points are outrageously high, alternative providers are able to provide options at a lower price. Technology provides opportunities to lower costs and improve learning today according to Mr. Selingo. Personalized learning, automated tutoring, Massively Open Online Courses (MOOCs), automated grading, and flipped classrooms are among the technology products in place that he believes are capable of improving quality and lowering costs. Strategic initiatives like matchmaking for admissions, improved advising, and nudging students to make progress in their degree programs are also among the other strategies that Selingo believes can lead to improvements. When he addresses the future of higher education in the last few chapters, Mr. Selingo discusses student swirling, degrees of value, and skills of the future. The increasing trend of students attending more than one college (swirling) decreases the stigma associated with transfer and along with online courses and competency based learning could cause students to attend as many as 10 or 12 institutions in order to earn a four year degree. In the future, with the right transparency, the author believes that students will find out which schools and which degrees provide the best value and will vote with their feet and attend those schools. However, he warns that students who pick their major “solely based on post-school salaries will in all likelihood, without a passion to motivate them, struggle in both school and career.” Another component of value is that better schools have better completion rates, and people with degrees earn more than those without degrees. While the most popular degree in the United States is business, the author argues that businesses are looking for individuals with greater critical thinking skills, something that arguably a better-rounded education in the liberal arts can provide over business. He cites Daniel Pink, author of A Whole New Mind: Why Right-Brainers Will Rule the Future, as a forecaster of a trend where the economy and society are moving away from the linear attributes of the left side of the brain to a conceptual age where the right brain attributes of seeing the big picture and connecting the dots are more valuable. Mr. Selingo concludes the book by stating “ultimately, it is the students of tomorrow who will drive colleges to reimagine the future of higher education.” He cites the fluidity of younger people with tech devices and quotes John Seely Brown who believes that “navigation is the literacy of the twenty-first century.” The author states that the question is not “will colleges change” but rather “when will colleges change?” According to Mr. Selingo, the five ways that higher education will change include: providing a personalized education through technology, merging online classes with face-to-face classes to provide a hybrid model, unbundling the degree for students who want to consume education in that way, make the timelines more fluid for completion by allowing faster learners to complete quicker and slower learners to complete at a pace comfortable to them, and implementing an overhauled version of financial aid. Jeff Selingo’s role as editor at The Chronicle of Higher Education provided him with access to many institutions and people over the past 15 years. While the topics in College (Un)Bound are wide-ranging, the conclusion is not surprising to those of us who have been engaged in online higher education for many years. 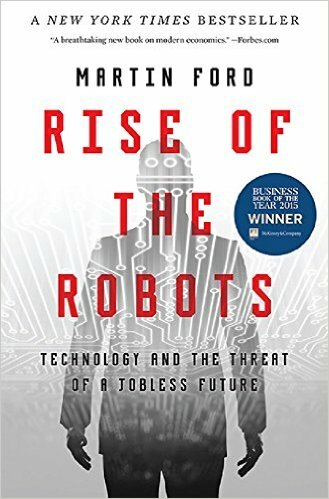 For parents, administrators, faculty members, and board members not so sanguine about the impact of technology on higher education, this book is an excellent primer.